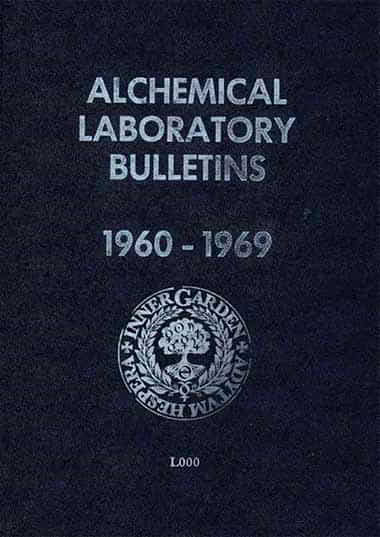 Tradtitional Laboratory Alchemy is a discipline complementary to Inner Alchemy. It is the mundane and laborious counterpart to the more volatile "Ora", hence completing the "Ora et Labora" that is conducted in the Lab and the Oratory of the student of Alchemy. 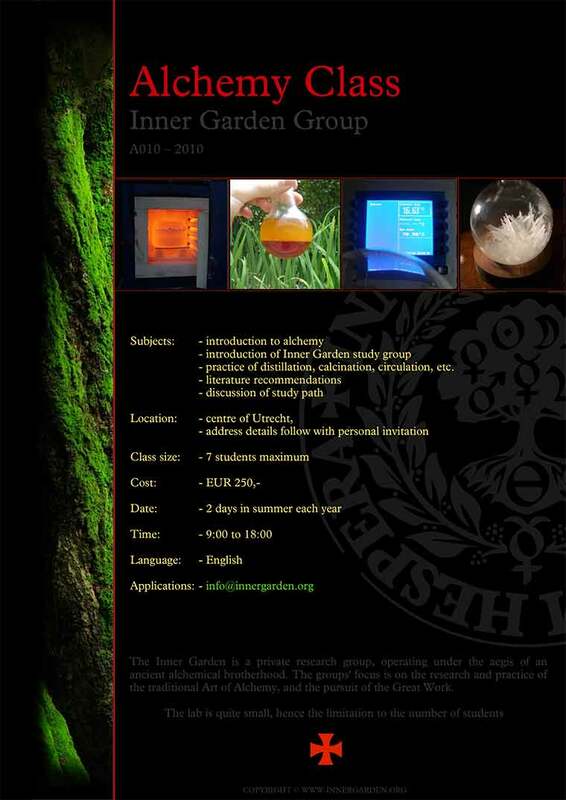 Inner Garden offers a comprehensive correspondence course in laboratory alchemy that is open for enrollment for anyone with a sincere wish to experience and learn about Alchemy. Our correspondence course may also be a first step to a greater adventure: the Opus Major or the path to the Philosopher’s Stone as part of the Great Work. Enroll and embark on a journey that leads into the heart of Nature, of the regenerative forces of nature, and become a Philosopher of Nature. We have our individual and collective paths as we move toward an increase in consciousness, a purification of the soul — ‘the raising of vibrations’. This raising of vibrations has been an ongoing quest of mankind; the quest for the Philosophers’ Stone. Many legends relate to this quest. In Eisenbach’s Parcival, for example, the Grail is described as an emerald stone instead of a cup. The Royal Art of making this Stone links the world of creation to the material world, and on a personal level changes the very fabric of one’s reality. In that light the attributions of the Stone as the fountain of youth — able to bestow immortality, and to transmute lead into gold — can be considered both a spiritual and physical reality. As above, so below. What form this will take in our own lives and personal paths is something we learn per adventure. Was the focus of the Royal Art primarily on the spiritual aspects of the path or on labwork and ‘learning through the hands’? 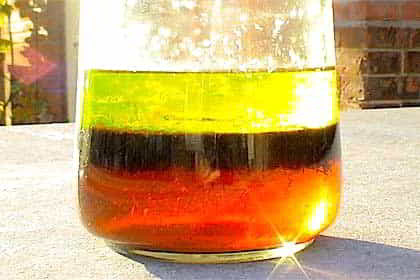 As mentioned, Alchemy is the art of raising vibrations in both Matter and in Spirit. 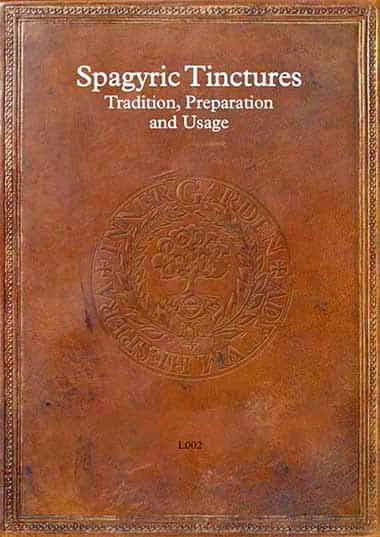 It refers to a compound of practical, psychological. Nature-philosophical, mystical and medical aspects. The core of the alchemical tradition consists of a practical, exoteric component and a theoretical, esoteric component. 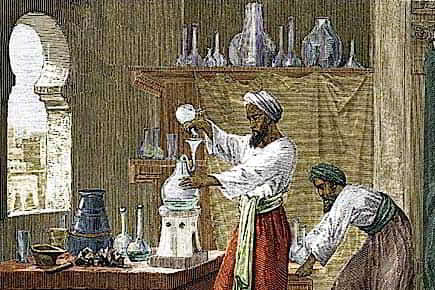 Traditionally alchemists were involved in both the internal and external paths. They had both an Oratory and a Lab, hence the conjunction ‘laboratory’. 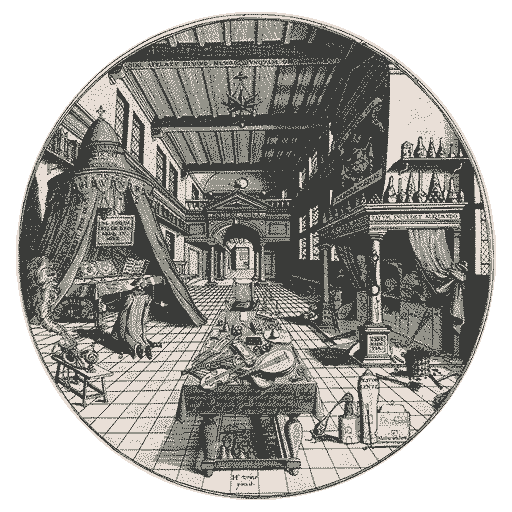 The Oratory was a space dedicated for meditation and prayer, often arranged as a secluded sanctuary within the lab, and the lab itself was the place for the ‘labora’- the physical work. 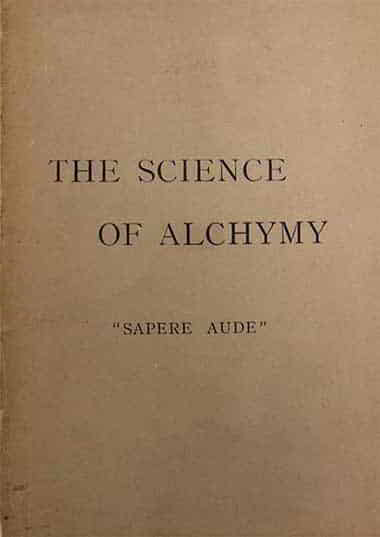 These alchemists of old alegedly found the material and spiritual to be complementary in their search for the Stone and to fathom the secret laws of God and Nature. In line with the adagio ‘A healthy mind in a healthy body’ they set out to purify both the body and their thoughts. The spiritual path helped them to remove gross cognitive misconceptions, fears, and destructive fanthoms within the mind. 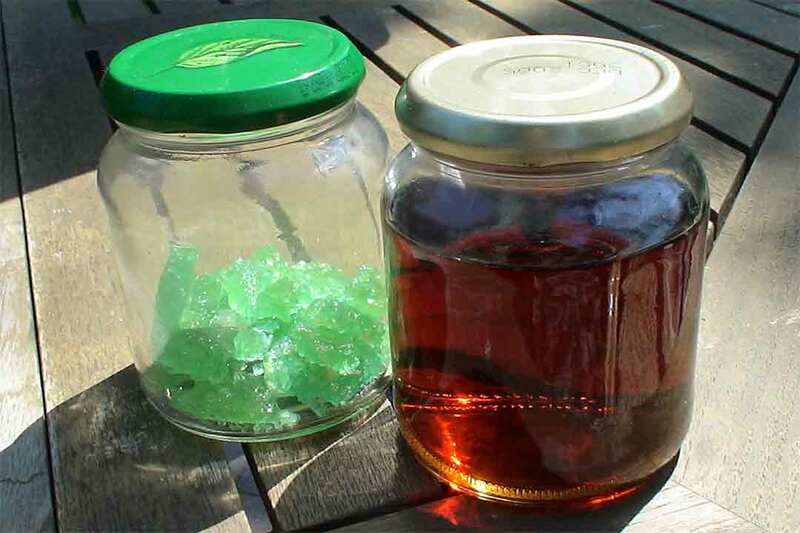 The controlled intake of their medicinal potions, on the other hand, allowed them to remove physical blockages and at the same time mental blockages that otherwise would lead to imbalance, sickness and degeneration. 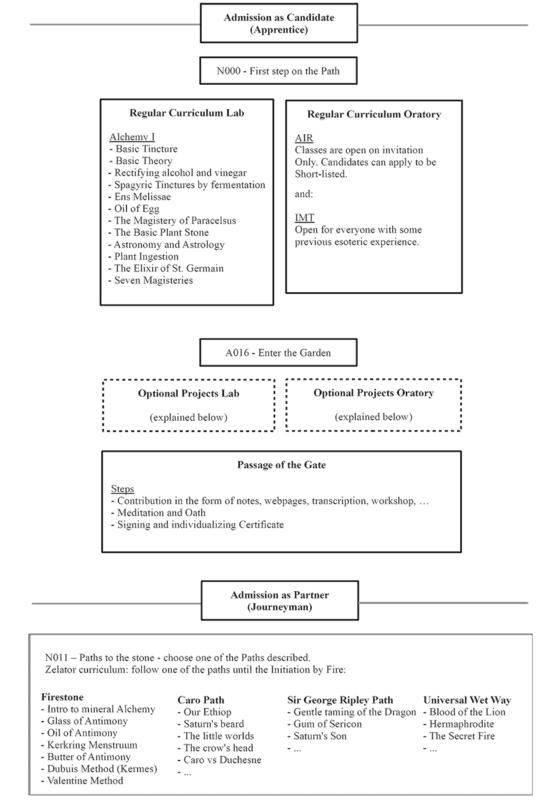 Potential eligibility for Partnership with accompanying patent upon completion of the course. 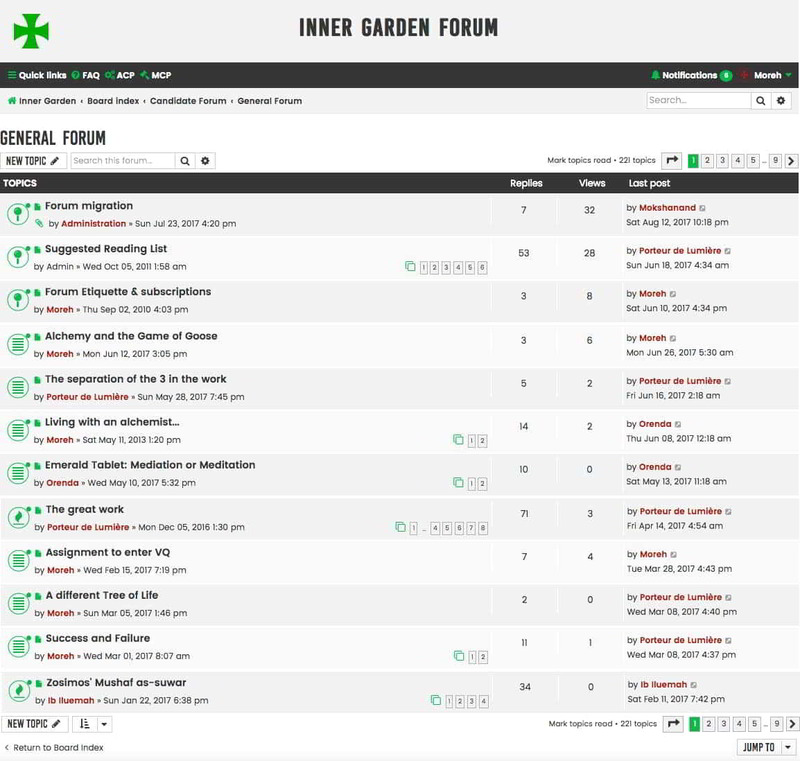 Our General Forum is open to all members of Inner Garden who wish to share experiences or consult other members about the work. Forum membership is seen as a privilege rather than a right and is not a must. In addition to the General Forum Inner Garden maintains a few other Fora that are open for Partners or specific research groups.